C. Norman Shealy MD, PhD, is Director of The Shealy Institute for Comprehensive Health Care and Clinical Research and Professor Of Psychology at the Forest Institute of Professional Psychology. Vera Borgmeyer is Research Coordinator at the Shealy Institute for Comprehensive Health Care and Clinical Research. Address reprint requests to: Dr. C. Norman Shealy, The Shealy Institute for Comprehensive Health Care and Clinical Research, 1328 East Evergreen Street, Springfield, MO 65803. Pain in the lumbosacral spine is the most common of all pain complaints. It causes loss of work and is the single most common cause of disability in persons under 45 years of age (1). Back pain is the most dollar-costly industrial problem (2). Pain clinics originated over 30 years ago, in large part, because of the numbers of chronic back pain patients. Interestingly, despite patients’ reporting good results using “upside-down gravity boots,” and commenting on how good stretching made them feel, traction as a primary treatment has been overlooked while very expensive and invasive treatments have dominated the management of low back pain. Managed care is now recognizing the lack of sufficient benefit-cost ratio associated with these ineffective treatments to stop the continued need for pain-mitigating services. We felt that by improving the “traction-like” method, pain relief would be achieved quickly and less costly. Patients were blinded to treatment and were randomly assigned to traction or decompression tables. Traction patients were treated on a standard mechanical traction table with application of traction weights averaging one-half body weight plus 10 pounds, with traction applied 60 seconds-on and 60-seconds off, for 30 minutes daily for 20 treatments. Following the traction, Polar Powder ice packs and electric stimulation were applied to the back for 30 minutes to relieve swelling and spasm, and patients were then instructed in use of a standard TENS use to be employed at home continuously when not sleeping. After two weeks, the patients received a total of three sessions with an exercise specialist for instruction in and supervision of a limbering/strengthening exercise program. They were re-evaluated at five to eight weeks after entering the program. Of the facet arthrosis patients, 75% obtained “good” to excellent” results with decompression. Only 50% of these patients achieved “good” to “excellent” results with traction. We have compared the pain-relieving results of traditional mechanical traction (14 patients) with a more sophisticated device which decompresses the lumbar spine, unloading of the facets (25 patients). The decompression system gave “good” to “excellent” relief in 86% of patients with RID and 75 % of those with facet arthroses. The traction yielded no “excellent” results in RID and only 50% “good” to “excellent” results in those with facet arthroses. These results are preliminary in nature. The procedures described have not been subjected to the scrutiny of review nor scientific controls. These patients will be followed for the next six months, at which time outcome-based data can be reported. These preliminary findings are both enlightening and provocative. The DRS system is now being evaluated as a primary intervention early in the onset of low back pain-especially in workers’ compensation injuries. Acute low back problems in adults: assessment and treatment. US Department of Health and Human Services; 1994 Dec; Rockville, MD. Snook, Stover. The costs of back pain in industry. occupational back pain, State-of-art review. Spine 1987; 2(No. 1):1-4. Gray FJ, Hoskins MJ. Radiological assessment of effect of body weight traction on lumbar disk spaces. Medical Journal of Australia 1963;2:953-954. Andersson GB, Gunnar BJ, Schultz, AB, Nachemson AL. Intervertebral disc pressures during traction. Scandinavian Journal of Rehabilitation Medicine 1968; (9 Supplement): 8891. Neuwirth E, Hilde W, Campbell R. Tables for vertebral elongation in the treatment of sciatica. Archives of Physical Medicine 1952; 33 (Aug):455-460. Colachis SC Jr, Strohm BR. Effects of intermittent traction on separation of lumbar vertebrae. Archives of Physical Medicine & Rehabilitation 1969; 50 (May):251-258. Gray FJ, Hosking HJ. A radiological assessment of the effect of body weight traction on the lumbar disc spaces. The Medical Journal of Australia 1963; (Dec 7):953-955. Gupta RC, Ramarao MS. Epidurography in reduction of lumbar disc prolapse by traction. Archives of Physical Medicine & Rehabilitation 1978; 59 (Jul):322-327. Cyriax J. The treatment of lumbar disc lesions. British Medical Journal 1950; (Dec 23):1434 1438. Cyriax JH. Discussions on the treatment of backache by traction. Proceedings of the Royal Society of Medicine 1955;48:805-814. Mathews JA. Dynamic discography: a study of lumbar traction. Annals of Physical Medicine 1968; IX (No.7):265279. Managed Care Organization Newsletter (American Academy of Pain Management). July 1996.
of disc prolapse, herniation and annulus tears. Serial MRI of 20 patients treated with the decompression table shows in our study up to 90% reduction of subligamentous nucleus herniation in 10 of 14. Some rehydration occurs detected by T2 and proton density signal increase. Torn annulus repair is seen in all. Transligamentous ruptures show lesser repair. Facet arthrosis can be shown to improve chiefly by pain relief. Follow up studies for permanency or relapses are in progress. That the abnormal disc has an elevated pressure can be appreciated at discogram. It is postulated that this elevated pressure interferes both with diffusion of nutrients from surrounding vessels into the nucleus and with adequate patching or repair of the tom annulus. Nachemson’s group has emphasized lowering intradiscal pressure for 30 years. (3) & (4) Neurosurgeons Rainon and Martin (5) at operation on a similar decompression table measured in an L45 herniated disc a lowering of intradiscal pressure from 30 to 50 mm above the normal 90 to 100 mmHg into the negative range of minus 100 to 150 mmHg during 90 to 95 LB traction. Will such negative pressures heal the annulus, rehydrate the nucleus? Subjects comprised 12 males and 8 females from age 26 to 74. Radiculopathy in 14 patients was from herniated discs of varying sizes. (L5-S I level in 6, L4-5 in 6, and 1 each at L3-4 and L2-3). Radiculopathy without disc herniation was present in 6 patients from foraminal stenosis facet arthropathy and lateral spinal stenosis. EMGs confirmed radiculopathy in all. MRI’s before and after were obtained on high and mid field units. Clinical status was assessed before, during, and after treatment with standard analog pain rating scale of 0- I0 and a neuro exam. a) Disc Herniation: 10 of 14 improved significantly, some globally, some at least local at the site of the nerve root compression. Measured improvement in local or general disc herniation size varied in range of 0% in 2 patients, 20% in 4 patients, 30 to 50% in 4 patients and a remarkable 90% in 2 patients who had the number of treatments at 40 sessions in 8 weeks. b) Facet joint arthropathy and foraminal compression cases showed no demonstrable change save 2 cases with slight increase in height but not in hydration. of 14 had 10 to 90% improvement in pain and disability. Two had 40 to 50%, one had only 20% with foraminal syndrome without herniation, 4 had 70 to 100% improvement, one had 40 to 50%, one with severe spinal stenosis had only 25% and was sent for surgery. Degree of clinical improvement roughly followed MRI changes but not totally with full correlation. Improvement from DRS treatment clinical outcome of radiculopathy whether from disc herniation or foraminal syndromes is more impressive than most improvement shown consistently by MRI, at least with today’s techniques and short time of follow-up. Relief of pain and disability by reduction of disc size is easy to argue in a small majority of this series. A few patients have dramatic anatomic improvement. The others with minimal or no significant MRI improvements are harder to explain. Also, many patients improved very early in treatment, probably before MRI change could be seen. 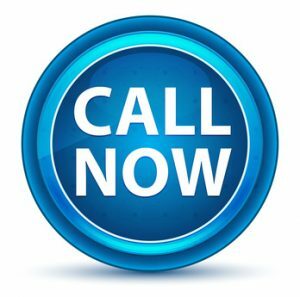 DRS distraction treatments afforded good or excellent relief of pain and disability whether from herniated disc or foraminal or lateral spinal stenosis. MRI showed imperfect correlation with degree of clinical improvement but 10 to 90% reduction in disc herniation size could be seen at least at the critical point of nerve root impingement in 10 of 14 patients. Two patients with extended courses of treatment showed 90% disc reduction and one of these had early rehydration of the degenerated disc at L4-5. An “empty pouch” sign on MRI at the site of previous herniation was seen in these 2 patients. Foraminal and lateral spinal or facet arthrosis cases causing radiculopathy without herniation also improved but without MRI change. Annulus healing or patching in the herniated disc can be shown by MRI and is postulated to be a primary factor in clinical and MRI improvement. This clinical outcomes study was performed to evaluate the effect of spinal decompression on symptoms and physical findings of patients with herniated and degenerative disc disease. Results showed that 86% of the 219 patients who completed the therapy reported immediate resolution of symptoms, while 84% remained pain-free 90 days post-treatment. Physical examination findings showed improvement in 92% of the 219 patients, and remained intact in 89% of these patients 90 days after treatment. This study shows that disc disease-the most common cause of back pain, which costs the American health care system more than $50 billion annually-can be cost effectively treated using spinal decompression. The cost for successful non-surgical therapy is less than a tenth of that for surgery. These results show that biotechnological advances of spinal decompression reveal promising results for the future of effective management of patients with disc herniation and degenerative disc diseases. Long-term outcome studies are needed to determine if non-surgical treatment prevents later surgery, or merely delays it. care system more than $50 billion a year. allows hydrodynamic activity, making the intervertebral disc a mechanical structure.3 As a person utilizes various normal ranges of motion, spinal discs deform as a result of pressure changes within the disc.4 The disc deforms, causing nuclear migration and elongation of annular fibers. 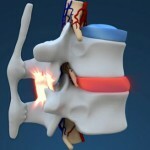 Osteophytes develop along the junction of vertebral bodies and discs, causing a disease known as spondylosis. This disc narrows from the alteration of the nucleus pulposus, which changes from a gelatinous consistency to a more fibrous nature as the aging process continues. The disc space thins with sclerosis of the cartilaginous end plates and new bone formation around the periphery of the contiguous vertebral surfaces. The altered mechanics place stress on the posterior diarthrodial joints, causing them to lose their normal nuclear fulcrum for movement. With the loss of disc space, the plane of articulation of the facet surface is no longer congruous. This stress results in degenerative arthritis of the articular surfaces. to maintain slight flexion of the knees. With use of the previously calculated treatment pressures, spinal decompression was then applied. After treatment, the patient received 15 minutes of interferential frequency (80 to 120 Hz) therapy and cold packs to consolidate paravertebral muscles. Data was collected from 219 patients treated during this clinical study. Study demographics consisted of 79 female and 140 malepatients. The patients treated ranged from 24 to 74 years of age (see Table 1). The average weight of the females was 146 pounds and the average weight of the men was 195 pounds. According to the Oswestry Pain Scale, patients reported their symptoms ranging from no pain (0) to severe pain (5). In this study, only patients diagnosed with herniated and degenerative discs with at least a 4-week onset were eligible. Each patient’s diagnosis was confirmed by MRI findings. All selected patients reported 3 to 5 on the pain scale with radiating neuritis into the lower extremities. By the second week of treatment, 77% of patients had a greater than 50% resolution of low back pain. Subsequent orthopedic examinations demonstrated that an increase in spinal range of motion directly correlated with an improvement in straight leg raises and reflex response. Table 2 shows a summary of the subjective findings obtained during this study by category and total results post treatment. After 90 days, only five patients (2%) were found to have relapsed from the initial treatment program. and degenerative disc diseases. The cost for successful nonsurgical therapy is less than a tenth of that for surgery. Long-term outcome studies are needed to determine if nonsurgical treatment prevents later surgery or merely delays it. Weber H. Traction therapy in sciatica due to disc prolapse. J Oslo City Hosp. 1973;23(10):167 176. Goldfish G. Lumbar traction. In: Tollison CD, Kriegel M, eds. Inter-disciplinary Rehabilitation of Low Back Pain. Baltimore: Williams & Wilkins; 1989. Hypothesis: Axial traction of the spine produces remission of symptoms in specific conditions that have not responded to traditional manipulative protocols when computerized decompression traction, electrical stimulation and biofeedback exercise stabilization are applied under a controlled regimen. The study is a pilot project and was not considered by an IRB for the initial phase. Continued investigation is suggested. The equipment for the study was provided by Calhoon Health Products. No fees for treatment were charged to any patients and no subjects were paid to participate in the study. There are many studies on traction in the current literature. We have sited 20 indicating a broad interest in this concept and a continued search for alternatives to surgical decompression of the spine. The articles with a brief synopsis are listed at the end with the reference. The primary clinical point of the literature review is that compression of the neuronal elements of the spine seems to be a leading cause or generator of the pain in chronic situations. Decompression has proven effective and various forms of decompression are elaborated. In conclusion from analyzing these articles, vertebral axial distraction can be accomplished several ways and reports of reduction of intradiscal pressure, reduction of disc herniations, and associated symptoms are cited. A trial was designed to measure the improvement on low back and leg pain and neck and arm pain patients. Patients who had reported symptoms in those areas were notified of the project and invited to participate. Other providers of physical medicine were notified as well and encouraged to have patients with similar unresponsive conditions inquire. All patients admitted to the study had a lengthy history of pain with multiple episodes of chiropractic manipulation and physical therapy with limited success. A combination of questionnaires were used to compute an intake score for each patient. The score was computed using the formula, the sum of the total score from each questionnaire. Categories of severity were created as follows: 0-150; 151-175; 176-200; and > 200. Protocols were determined based on total intake score and ranged from 3 to 6 treatment sessions per week. Traction protocols were determined based on patient history and symptoms, chronicity and extent of radicular signs. Treatment frequency was determined by total points: under 150 – 3 days per week, 151 to 175 – 4 days per week, 176 to 200 – 5 days per week and over 200 – 6 days per week. The Axial Disc Compression Traction Therapy unit, manufactured by Chattanooga, was utilized in this study. Directions contained in the D.T.S. Information manual, copyright 2002 by Jay Kennedy were followed. In this study, there were nine men and 5 woman ranging in age between 26-64. The range in chronicity for LB/Leg pain was 6 months to 29 years and neck to arm pain 1 year to 7 years. Exclusion criteria included, those with spinal fusions from hardware implant, those with non-disc related central spinal stenosis, those over age 70 or under age 18. Intake measurements include modified Oswestry Low Back Pain Disability Questionnaire (Fairbanks, 1980) and the Neck Disability Index (Vernon and Mior, 1988) Activities Discomfort Scale (Turner, 1983) and a quadruple visual analogue pain scale (Yeomans, 2000). Each item was scored and the total recorded and compared to the exit scores. For this project, no objective tests were obtained on intake or exit, only standardized outcomes assessment tools. Patients who qualified to enter into the study were measured and fitted to the traction unit. Both prone and supine protocols were considered for lumbar decompression. The prone position is usually recommended but can be modified per patient ability to tolerate the position. Cervical decompression is done in the supine position. Precise positioning for each patient is critical for outcomes to be optimized A 100% compliance was expected from each subject accepted into the study in order to optimize the statistical analysis. The specific treatment protocol was determined by the doctor after assessing the intake examination and evaluation. The computer controls the variations in the traction allowing for spinal decompression and attempting to reduce the muscle reaction and subsequent compression that can occur with some types of traditional or conventional traction devices. The preprogrammed patterns for ramping up and down the amount of axial distraction allows for optimal levels of spinal decompression and disc hydration when possible. Proper patient positioning and specific technique insure expected results. Of the 14 patients that were admitted into the study on May 17, 2004, the group was divided into the neck and arm pain group with 4 patients and the low back and leg pain group with 10 patients. The three outcomes assessment tools were scored and totaled for each patient on intake and after three weeks of the study. Using a single tool, the Revised Oswestry form for low back, it is noted that improvement parallels, in all but one case, the combination of the three tools. The neck patients all responded well but not with as high an average as the low back patients. It is interesting to note that the measured results parallel the perceived or reported improvement in all but one case. That case would not be included in a long term study due to non-compliance but was included here because that is a regular obstacle in daily clinical practice. the first three weeks. Two did not. One drove 2 hours to and 2 hours from treatment sessions and was not expected to achieve much improvement notwithstanding. He did report considerable relief immediately after each session and understood that the driving more than negated any improvements. The other patient who did not measure any improvement did not comply with the protocol as outlined and would have been dismissed from the study due to poor treatment compliance. Continued follow- up with this patient sample is recommended in Part II of this study at 1, 3, 6 and 12 month results with and without additional treatment. Studies on surgical decompression procedures of the spine are often designed to include a 2-3 year follow-up as well as reporting any associated morbidity during the study time for up to 5 years. Additional patients should be likewise admitted and studied and the 5 year plan should be instituted. Patients will also be instructed in regular use and frequency of the stabilization exercises. This study utilized an outcomes based research design. Given the significant improvements reported in this study, it is hopeful that a randomized, controlled trial where sham traction (placebo) can be compared to decompression therapy. Also, separate subject groups can also be randomized to electrical stimulation, pelvic stabilization groups, and a combined therapies group. Utilizing the outcome measures, this form of decompression reduces symptoms and improves activities of daily living. Long-term benefits were not studied but will be reported in another study. The future study will include regular follow-up measurements to determine if the remission continues with or without recurrence. Also, the future study will investigate whether or not periodic supportive treatment sessions are needed to maintain symptom satisfaction. Mackenzie R: Mechanical diagnosis and therapy for disorders of the low back. In Taylor JR, Twomey LT (Eds. ): Physical therapy of the low back. Churchill Livingstone, New York, 2000 p.26 & 143. Kushlich SD, Ulstrom RN, Michael CJ: Tissue origin of low back pain and sciatica. Orthop Clin North Am (22): 181,1991. Nachenson AL, Elfstrom G: Intravital dynamic pressure measurements of Lumbar discs. Scand J Rehabil Med 2 Supp 1:1-40, 1970. Yong, Hing K., Kirkaldy-Willis WH:’ Pathophysiology of degenerated discs of the lumbar spine. Phila. The Ortho Clinics of N. Am. Vol. (14) #3 July 83, p.p. 493504. Twomey LT.: Sustained lumbar traction: An experimental study of long spine segments. Spine 1985; (10): 146-149. Judkovich BD. : Lumbar traction therapy-elimination of physical factors that prevent stretch. JAMA 1955; 159. Gose E, Naguszewski L.: Vertebral axial decompression therapy: an outcome study. Neuro Resarch. (20)#3, April 1998. Mathews JA. : Dynamic Discograhy: A study of lumbar traction. Annals of Phy Med, IX (7) 1968, p.p. 265-279. Colachis SC.et al: Effects of intermittent traction on vertebral separation. Arch of Phy Med & Rehab 1972 (50), p.p.251-258. Shealy CN. Borgmeyer V.: Decompression, reduction, stabilization of the Lumbar spine: A cost effective treatment for lumbosacral pain. AJPM 1997, 7(2), 663 -665. Winkle D, et al. : Diagnosis & treatment of the lumbar spine. Aspen: Maryland: 1996 p.p. 303-313. Cyriax JH: Illustrated Manual of orthopaedic med, London, Butterworths, 1983 p.p. 30-40. Biomechanics. In: Hochschuler SH, Cotler HB, (Eds.) Rehab of the Spine. Mosby MO.1993 p.p. 146. Kushlich S: Tissue origin of mechanical low back pain and sciatica. In: Hochschuler SH, Cotler HB, (Eds.) Rehab of the Spine. Mosby, MO. 1993 p.p.595-599. Natural history of the lumbar spine. In Taylor JR, Twomey LT,(Eds):Physical Therapy of the Low Back, Churchill Livingstone, New York, 2000, p.p 25-26 & 43-51. Anderson DBJ, Nachemson, AL. Intervertebral disc pressures during traction. Scand J of Rehab Supple 1983; (9):88-91. Colachis S, Strom J: Cervic al traction. Arch Phys Med 1965 (64):815. Harris P: Cervical traction: Review of liturature and treatment guidelines. Phys Ther (57):910, 1977. Braaf MM, Rosner S. Recent concepts in treatment of headache. Headache, (5):3844 1965. Cyriax J: The treatment of lumbar disc lesions. British Medl Jour Dec.23 14341438. McElhannon JE: Physio-therapuetic treatment of myofascial disorders. Anaheim Hills, CA. : James McElhannon. Deyo RA, Loeser JD, Bigos SJ. Herniated lumbar intervertebral disc. Ann Intern Med 1990:(112): 598-603. Breig A, Troup J: Biomechanical considerations in the straight leg raise test. Spine 1979 (4):242. Greenstein GM: Clinical assessment of neurological disorders. St. louis, Mosbyyear book, Inc. 1995. Weber H: The natural history of disc herniation and the influence of intervention. Spine 1994 (19): p.p. 2234-2238. Saal JA, Saal JS: The non-operative treatment of HNP with radiculopathy: an outcome study. Spine 1989 (14): p.p. 431-437. Komori H, Shinomiya K, et al., The natural history of HNP with radiculopathy. Spine (21): 225 229, 1996. Quain MB, Tecklin JS,: Lumbar traction: its effect on respiration. Phys Ther 1985; 65 (9): 1343-6. Krause M, et al: Lumbar traction: evaluation of effects and recommended application for treatment. Man Ther 2000, May;5 (2): 72-81. Gillstrom P, Erickson K,: CT exam of influence of autotraction on herniation of lumbar disc. Arch Orthop Trauma Surg 1985; 104(5):289-93. Beurskens AJ et al: Efficacy of traction for non-specific back pain. Spine 1997 Dec 1 ;(23): 2756-62. Laban MM et al: Intermittant cervical traction: a progenitor of lumbar radicular pain. Arch Phys Med Rehab 1992 Mar;73 (3):295-6. Pellecchia GL: Lumbar traction: a review of the literature. J Orthop Sports Phys Ther 1994 Nov:20 (5): 262-7. Austin R: Lumbar traction a valid option. Aust J Physio 1998; 44 (4):280. Constantoyannis C, et al: Intermittent cervical traction for radiculopathy due to large-volume herniated discs. JMPT 2002 Mar; 25 (3). Grieve G: Mobilization of the spine. Churchill Livingstone NY, 1991: p.p 273283. Martin M, Ramos G: Effects of vertebral axial decompression on intradiscal pressure. J Neur 81: 350-353, 1994. Richardson C, Jull Get al: Therapeutic exercises for spinal segmental stabilization in low back pain. Churchill Livingstone NY, 1999. Dullerud R, Nakstad P: CT changes after conservative treatment for lumbar disc herniation. Acta Radiol Sept;35(3):415-9, 1994. Quain MB, Tecklin JS: Lumbar traction: its effect on respiration. Phys Ther Sept;65 (9):1343-6, 1985. Mcgill S: Low back disorders (evidence-based prevention and rehabilitation). Human Kinetics, 2002. Saal JS, Saal JA: Nonoperative management of herniated cervical IVD with radiculopathy. Spine 1996 Aug 15;21(16): 1877-83. Weatherall VF: Comparison of electrical activity in the sacrospinalis musculature during traction in two different positions. J Ortop Sports Phys Ther 1995;(8): 382390. Letchuman R, Deusinger RH: Comparison of sacrospinalis myoelectric activity and pain levels in patients undergoing static and intermittent lumbar traction. Spine 1993;18(10): 1361-1365.